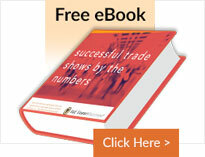 Updated Website for E&E Exhibit Solutions® Provides Comprehensive Mobile Experience. Exhibitsusa. (Tempe, AZ) January 5, 2018 – For more than twenty years E & E Exhibits, Inc., dba E&E ExhibitSolutions® has been creating and providing award-winning state-of-the-art trade show exhibits. In keeping with their on-trend offerings, they have just completed an extensive 1,000 page update to their primary website http://www.ExhibitsUSA.com which is 100% mobile friendly. • Every display element features a variety of examples and colored images to ensure that readers find exactly what they need to market their business. • The navigation is simple and straight-forwarded so that readers can easily find the trade show display, accessory, technology or service they require without getting lost in a maze of detail. • Each category now features “Related Products” that recommends companion elements that will enhance their marketing efforts. • The entire website is 100% mobile-friendly so that readers can quickly view thousands of images and designs of what they need without waiting until they can access a laptop or desktop computer. “We are excited to start the New Year by offering our customers and prospects a comprehensive tool for their business,” said Daniel Chaddock, President. “Our marketing team has enhanced the new website so new prospects can most easily navigate through our rich offerings, finding exactly what they need for their next tradeshow or event”. Visit the updated website at ExhibitsUSA as well as their other websites: RentExhibits USA and CorporateEventsUSA for all your trade show and/or corporate event. E & E Exhibits, Inc. currently operates three locations in the greater Tempe/Chandler Arizona areas. The main showroom is located at 1365 W. Auto Dr. Tempe, AZ 85284. For more information visit www.ExhibitsUSA.com. Since 1995, the custom display rental design professionals and award winning leaders in trade show exhibits at www.ExhibitsUSA.com and www.RentExhibitsUSA.com have been working with businesses to create memorable and functional design elements and trade show displays for their businesses.